Gary Grice (born August 22, 1966), better known by his stage names GZA (pronounced /ˈdʒɪzə/ JIZ-ə) and The Genius, is an American hip hop artist and founding member of the seminal hip hop group the Wu-Tang Clan. Within the clan, he is known as the "spiritual head," being both the oldest and the first within the group to receive a record deal. After joining the Wu-Tang Clan, a group of nine which included himself, RZA and ODB, GZA boasted some high-profile appearances on the group's debut album, Enter the Wu-Tang (36 Chambers), including a solo track, "Clan in da Front." This, combined with appearances on other Clan albums such as Return to the 36 Chambers: The Dirty Version and Only Built 4 Cuban Linx... brought him much recognition and respect (more than he achieved solo as "The Genius"). These guest appearances were followed up in 1995 with GZA's sophomore solo effort, Liquid Swords, produced entirely by RZA; the album was met with critical and commercial acclaim, and is still considered one of the best albums to come out of the Wu-Tang camp; in 1998, the album was selected as one of The Source Magazine's 100 Best Rap Albums of all time. After appearing on the Wu-Tang Clan's second album, Wu-Tang Forever, GZA released Beneath the Surface in 1999. Reviews were mostly positive and the album did well (going Gold), though it failed to live up to Liquid Swords' acclaim or commercial success. 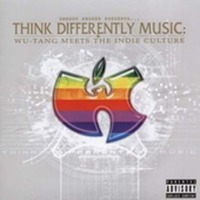 Like the post-debut projects of many Clan members, critics decried the album's lack of RZA production, claiming the underground producers and Wu-Elements used did not live up to the producer's skill level. Grice put in appearances on The W, Iron Flag and some of his group members' solo projects, but did not release another of his own until 2002 with Legend of the Liquid Sword. The album was received well by critics, but did not achieve commercial success, failing to go Gold as his previous release had. GZA spent 2004 touring, both solo and with the Clan, and made an appearance with RZA in Jim Jarmusch's film Coffee & Cigarettes, opposite Bill Murray. In 2005, GZA and DJ Muggs (the producer for hip-hop group Cypress Hill) released the LP Grandmasters. Muggs provided all the production for the album, which saw GZA using chess as a metaphor for the rap game. The album received positive reviews and modest commercial success. He then partook in the recording of groupmate Raekwon's Only Built 4 Cuban Linx... Pt. II, originally stating that he was heavily featured along with Inspectah Deck, though he was later unsure about his status on the project. 2007 saw GZA teaming up with his Wu-Tang Clan to record the group album 8 Diagrams, and in the ensuing controversy, defended both Raekwon and Ghostface Killah's rights to speak their mind, and RZA's production job on the album. In the summer of 2008, he released the album Pro Tools which featured production from Black Milk and past collaborators Jay "Waxxx" Garfield, RZA, Mathematics and True Master. A very controversial song on the album was entitled "Paper Plates" a smooth flowing response aimed at rival rapper 50 Cent. After the release GZA toured various parts of Europe on a "Liquid Swords Tour" where he performed songs from Liquid Swords as well as Pro Tools. He later toured parts of the USA. GZA also stated his wish to record another full album with RZA. In 2009, GZA made appearances on two more Wu-Tang Clan albums. The first being on a song entitled "Stomp Da Roach" on the album Dopium, by fellow clan member U-God, the other being appearances on the tracks "We Will Rob You", "Rockstars" and "House of Flying Daggers", on Raekwon's Only Built 4 Cuban Linx... Pt. II. The Genius continued to tour during the year, appearing on the "Rock The Bells" lineup and also performing at the NXNE music festival in Canada. Recently, RZA confirmed that he will be producing Liquid Swords II: The Return Of The Shadowboxer, which is tentatively due in 2012. The GZA also made an appearance in a video for Devendra Banhart's song titled "Baby". For Liquid Swords II, he has recently confirmed with Examiner.com that Killah Priest will hold a solo song ala 'B.I.B.L.E.' to act as the closer to the album just like the original. He has also begun work on an album, a concept album, called Dark Matter. The album is based on a journey thru time and space. He will also be appearing on the upcoming collaboration album between producers Pete Rock & DJ Premier V.S. album appearing on Premier's track.